I Caught A “Whopper” & Vote Trump if U want the “RV”!!! 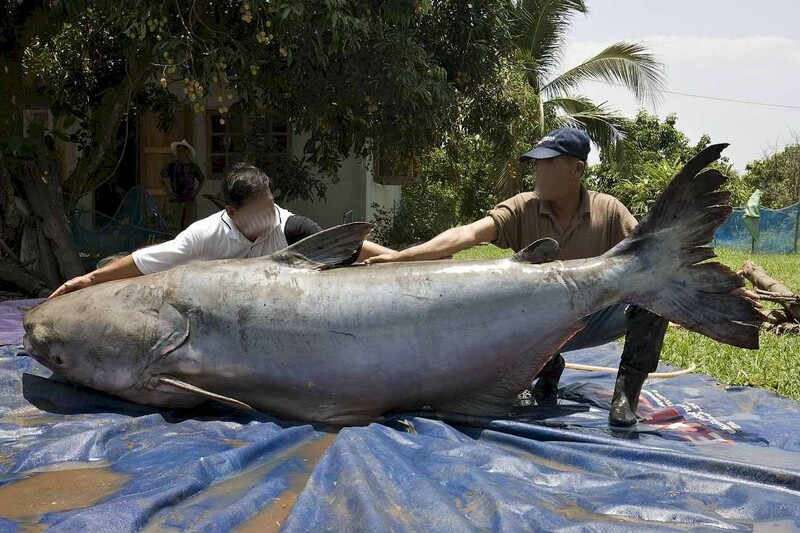 As you know, I went fishing, and I’m just checking in briefly, but since several hundred people visit this website every week, I felt it was best that I check in, let you know I’m still alive, doing well, and caught a “WHOPPER” of a Cat Fish! Donald Trump (love him or hate him) as I see it is our “ONLY” chance of getting enough stability and peace in the Middle East and especially in Iraq. Possibly he will even help Dr. Shabibi get back in to the driver’s seat of the CBI.iq? 5. 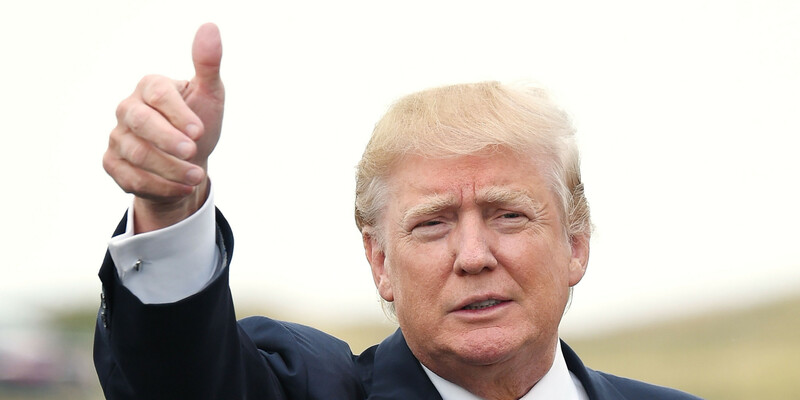 If Donald Trump does win the Election this November, then I will expect it will take him at least 2 years to get any kind of stability in the Middle East. I’m sure Trump will work with Vladimir Putin and the other World Leaders, including China to get defeat ISIS. Please don’t let the usual suspect group of IQD “Gurus” mislead you. Always stay optimistic – treat this like a long-shot bet on a Las Vegas gambling table! But, if in 2, 3 , 5 or even 10 years from now, the $1,000 spent for 1 Million IQD and it “RVs” – it will all be well worth it, but don’t plan on the “RV” happening “tomorrow”. Please register to vote, if you are not registered, and (love him or hate him) vote for Donald Trump if you want any chance for a “RV” in my opinion! Now, back to fishing…. I wish you a great remainder of the Summer, see you in the Fall. 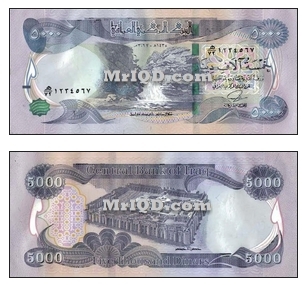 CBI issues new 25K & 5K IQD Currency Notes – and a Hack Guru WARNING! 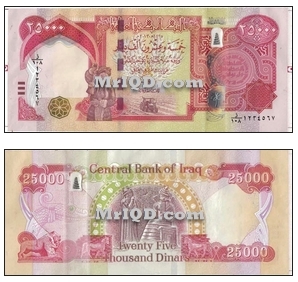 Today, October 21st the CBI releases new 25K & 5K IQD notes. Be sure to see my WARNING below, after the news article regarding Con Artists and Hack Gurus who will “spin” this news to try to steal your Dinar and/or Money! You can go to the Arabic language side of the CBI.iq to see the news for yourself – remember, always verify from legit sources! Central Bank announced on Tuesday, near posed to the categories of the 25 thousand and five thousand dinars, “Bhlthma new,” promised new specifications for the two currencies as the “insured that are difficult to counterfeit,” and while pointing out that the most important changes to the currencies add a security to “magnetic ink”, he stressed not his intention to withdraw the above categories. 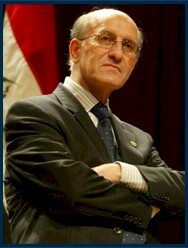 For many of you “long-termers” you will have already seen this video of Dr. Shabibi, the Governor of the CBI at that time (April 19, 2011) answering Revaluation and Redenomination Questions at the US Chamber of Conference in Washington DC. For those of you “newbies” who have been getting nothing but garbage and lies from the Hack Gurus, why not take about 9 minutes to watch this video? The audio is a bit low, so be sure to turn up your speakers, or read the transcript below. Original Footage by: Frothbucket. Video edited by coquidinares. Dr. Shabibi answers a revaluation and redenomination question made by two attendees. and its exchange rate, we did not follow that there is a direct need for a potential revaluation of the currency to its due for domestic and foreign investment in Iraq, and in regard to that, how far you believe we are from a potential revaluation of the Iraqi currency. Well thank you very much for this question and the … ahmmm ……. even if I know the answer I cannot tell you .. (laughter) the thing is … you cannot have an economist saying without….the answer depends, so the question here is if revaluation is really going to depend on what extent we are going to continue controlling the inflation.. as you know, if you go to the Central Bank website … the first job is maintaining price stability . So there is a little bit of inflation in Iraq … it use to be 2%… 3% … now is about 5% . continues we will have to revisit the question of exchange rate because revaluation depends on inflation … of course .. the other factors that determine the movement in currencies are a lot … sometimes we look at trade, exports and imports, all the obligations, the balance of payments and all this things …definitely no doubt you look at those … but those are problems related to the development part of the economy. The question of maintaining a price stability is really something …you see the inflation and all this things….. cause nobody else in the economy is concern with inflation …. the government puts its budget… the government is the spender and the Central Bank its saver…. It’s not very important for them to concentrate on inflation …. so actually the question here is we are going to track and follow the development in inflation first and of course other factors which I mentioned. Second then will determine our exchange rate movement. Thank you Governor. This may be the same question, so I can understand if you can’t answer. My name is Bob Kelly, I am an Investor in Iraq, the Summit Hotel in the International Zone with the OPEC financing. I’ve heard a report in the last couple of days That Iraq is about to cut three zeros off the currency …they call that re-denomination that may be the same question (revaluation) that you just received but I wonder if you had any information about that. Well, I mean …. I don’t know whether if it is the same question (revaluation), I think this cutting of three zeros… shouldn’t be exaggerated … actually that is the problem…the question is … just ” re-denomination” …. and …. people writing a lot of articles in the news papers… criticizing the Central Bank…., that is going to …. the value the Iraqi dinar… that is going to depreciate … all kinds of talks. This is a question, just actually, to facilitated payment… ease of counting and all this things…. and of course when you see a lot of figures, you see trillions and huge figures…. if you want to be precise and you see twelve figures or fifteen figures or digits … So I think we have a plan on that. If you remember … why …. there was not a government decree to add this zeros. It happened because of the course of development of the economy at the beginning of the eighties…. Inflation was very high … Inflation was rampant and therefore … I mean small denoms start not to be use … so government started to add the three zeros at the time…. and of course conditions are different now . Inflation is under control, exchange rate is manage by the Central Bank…. all these things when you have the zeros you could not manage … not because of fault of the government or the Central Bank (only) … which I think there was but because there were a lot of exogenous (external) factors. I’m not saying that we are champions now I mean … there were a lot external factors which affected and a lot of people did not know what to do, so they started to add three zeros and all this things. So now the situation is completely different from that time, you had a high inflation, you have now a low inflation, you had actually something which is a stable macroeconomics situation . At that time the situation was not stable . So the only way to combat all of this things at the time was to increase the denomination and put three zeros. Let me know what you think about this? Did you appreciate me digging up the truth and the past? I’d be interested to know if this post has helped you. Are You Greedy? Then, You Risk Being A Hack Guru Victim! I did some “BINGE-WATCHING” recently of the TV Show called: “American Greed” – has anyone here watched this show? This TV Show really does HIGHLIGHT just how easily people lose their money. And guess what, it could happen to me, it could happen to you! BECAUSE YOU CAN BET THE CON ARTISTS (AND Hack Gurus IMO) ARE ALREADY PLANNING ON HOW THEY WILL TAKE YOUR MONEY, AND HAVE YOU THANK THEM FOR IT. Seriously, watch this TV Series “American Greed” – I watched it via HULU, I believe you can also find it Monday Nights on CNBC. THINK ABOUT IT – “POST RV” (after the IQD significantly increases in value), IF YOU ALLOW YOURSELF TO BE SCAMMED BY A HACK GURU, OR ANOTHER CON ARTIST – THERE IS NO “DO-OVER” – YOU LOSE YOUR MONEY, AND YOU ARE BROKE!! !…… PERIOD. You can’t call the FBI and cry and whine that you were robbed of your Dinar, or $$$ – what in the heck can they do for you at that point? Sure, the FBI White Collar Crime Division can go after the Hack Guru, or Con Artist who stole your money, and if they catch them, and can make a Legal Case, well, you will be lucky to see that in Court within several years! And guess what, it is EXTREMELY RARE for victims to get MUCH or ANY of their Money back, because the Con Artist has already spent it on a lavish lifestyle, vacations, bling-bling, etc. Sure, there may be some cars, boats and homes the FBI may be able to recover, but these assets will sell at an Auction (maybe a U.S. Marshals Service Auction) for a fraction of their original value. Just count on that money being GONE WITH THE WIND!!! You will most likely be told by the FBI Agents, to pretend that your money/assets never existed in the first place – this will help put your mind to ease, supposedly…. I’ll close with this – remember, you will only get ONE SHOT with this, don’t fall victim to SWS, Hack Guru lies, or other Con Artists. Do your due-diligence, and if it doesn’t feel “right” go on your gut instinct and pass on that “opportunity”. If they pressure you to “do it now, or lose it” (a classic “fear of loss is much greater than the chance for gain” sales tactic) then tell them: “if it is really that good, then it will be that much better tomorrow!” and walk away, sleep on it, hire a Professional to investigate that person’s claim about the “investment’s” authenticity. You know, if someone is asking you to “invest” in their “good secret deal” with your Thousands to even Millions of U.S. Dollars – spend a few hundred dollars FIRST and hire a local, independent Private Investigation firm to do a background check! Our old ranting friend Snoopy was touched by yesterday’s post so much that he/she had dropped their 7-11 Slurpee, got off the top of Charlie Brown’s Dog House and responded with a reply. I liked the reply so much, I’m reposting it here to make sure you get a chance to read it. 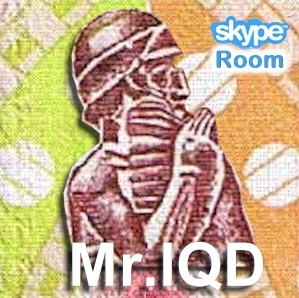 Hello Mr. IQD…. ole’ Snoopy here. First, it has been months since I’ve taken the time to see what’s happening in the Dinar world. Obviously, there’s been lots of headlines regarding the changing of the guard (GOI), etc., but as we all know, the CBI’s rate is the same today as it was yesterday, last year and 5 years before that. I believe we are closer than ever, but at the end of the day, my crystal ball is still cloudy with no clear vision as to when and how much we may see for any RV. Skype Room – Private Conversation (a must read)! THE FOLLOWING IS AN EXCERPT FROM A PRIVATE CONVERSATION I WAS JUST HAVING WITH OW IN MY SKYPE ROOM, AND I KNEW I NEEDED TO SHARE IT WITH EVERYONE… ENJOY! 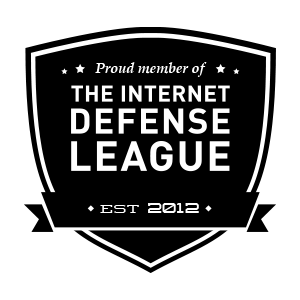 I don’t know why more people in our community don’t bother to even make the effort to read the headlines, much less read a few articles each day as well as listen to the IQD Team’s Conf Call. It is so amazing how lazy they are. They just want to be “instant scratcher lotto winners” – which is why I believe, most of them will follow the Hack Gurus, like Tony TNT, Okie Oil Man and others. The Hack Gurus, don’t make them “think” they infact don’t ALLOW them to “think”!!! Now the trick that a hack guru will pull, is to encourage you to go to CBI.iq – but then they cast doubt by saying, the “real rate is hidden, and only my contact at the [insert 3-letter agency name here] really knows the truth”… LIE!!! And the sad reality is that these followers buy in to it because they are lazy and don’t want to put forth any effort to EARN the $$$Millions$$$ they will benefit from “Post RV”. At least 80% of those hack guru followers will LOSE their entire new fortune within the first 6 to 9 months!!! Shocked?? ?… This is a sad reality NOT made up by me, but a real statistic of “SWS’ (Sudden Wealth Syndrome). Search for “Sudden Wealth Syndrome SWS” and learn more about how to overcome the shock of being suddenly wealthy! only 6 to 9 months!!! I honestly 100% believe in the people of Iraq and the facts (from the REAL NEWS) that Iraq is turning around their society, politics and economy! Also, I do 100% believe their currency will significantly increase in value eventually! Either over time, or suddenly, but I do believe it will. However, I believe ONLY in buying what you can afford, don’t buy lay-a-way program or reserves and be prudent with whom you do business with, seek advice from, or disclose your Iraqi Dinar holdings to. I really hope this helps you, or someone you know in our Dinar Community. Do you want to join in on the daily conversations that go on in my Skype Room? Then send me a request to join via this LINK.